Travelling round Europe in our camper van, much of our time was spent in search of clean drinking water. 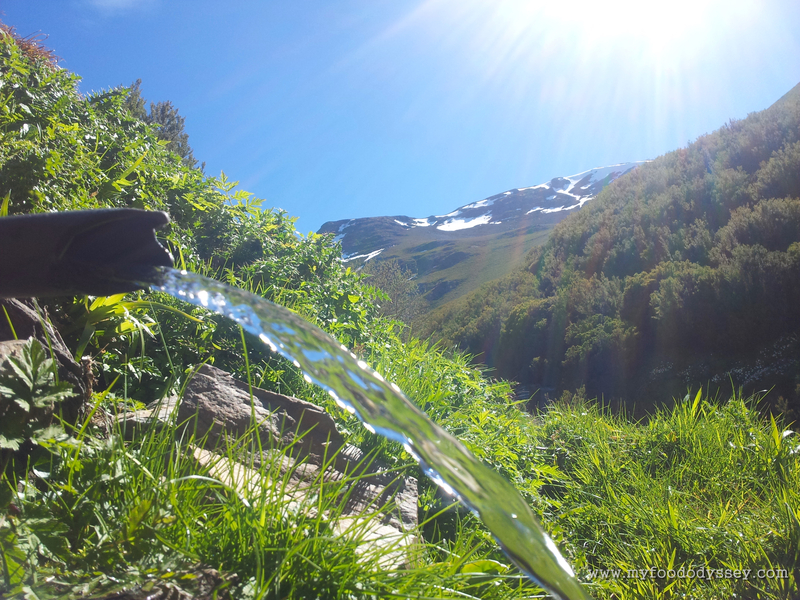 Sometimes our quest brought us to the most beautiful places – mountains, woods, fountains, streams. We found so much more than water. And, by the way, I love your picture–the combination of the light, the water, and the mountains are lovely. The US is like 20 countries all in one – it has such diversity. I can understand why a huge portion of the population doesn’t have a passport. If Europe was a country then I’d say the situation would be similar here. Just jump in a car and drive – I’m sure there’s tons of beautiful places right on your doorstep! Isn’t he brilliant?! I’ve loved him since highschool!